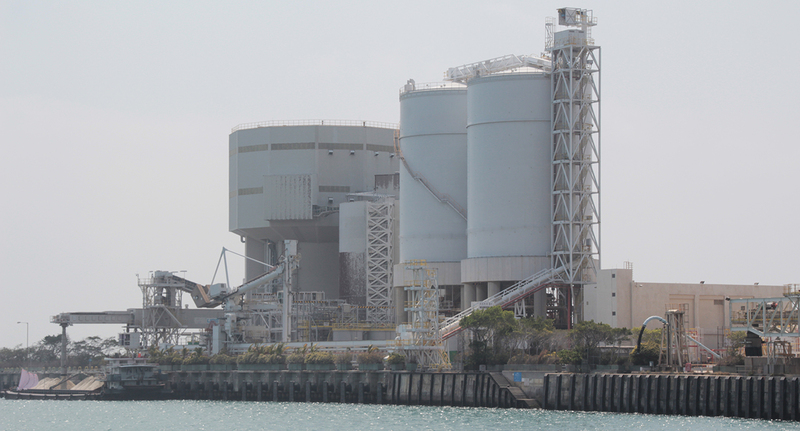 With the decision to invest in a flue-gas desulphurisation plant at the Lamma Power Station on Lamma Island, the Hongkong Electric Group set a target for their investment to be environmentally sound in all aspects, without limiting the energy production process. As a consequence of the customer’s needs, they sought out a supplier whose limestone handling equipment is enclosed with no spillage and minimal dust emission, with a guaranteed low-noise level of less than 75dBA, and energy efficient with less than 1kWh/ton from ship to silo. 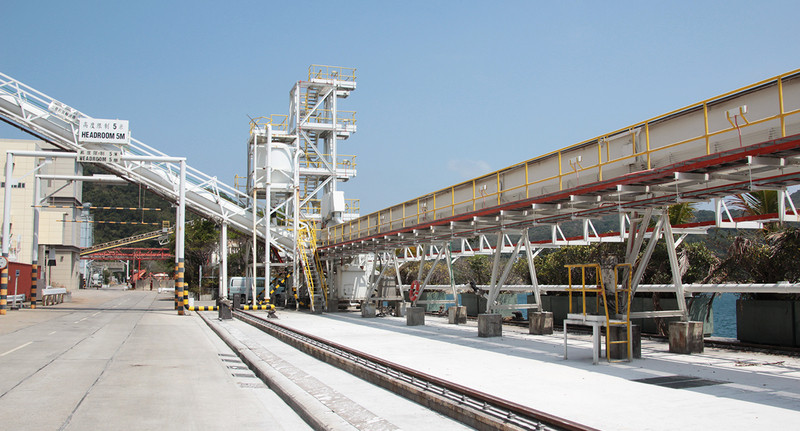 Siwertell scope of supply to the plant comprises of two main parts: A Siwertell continuous, screw-type ship unloader and a screw conveyor system. 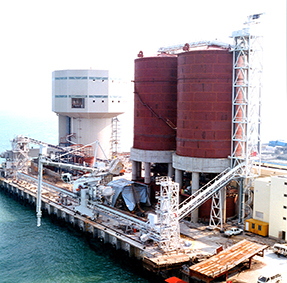 The Siwertell unit unloads limestone powder from ships of up to 10,000 dwt. The discharged material is then fed into the enclosed conveying system on shore. A series of screw conveyors transport the material to the two silo tops, connected by a 22m long horizontal screw conveyor. The total lifting height is 32m and the capacity is 400t/h.